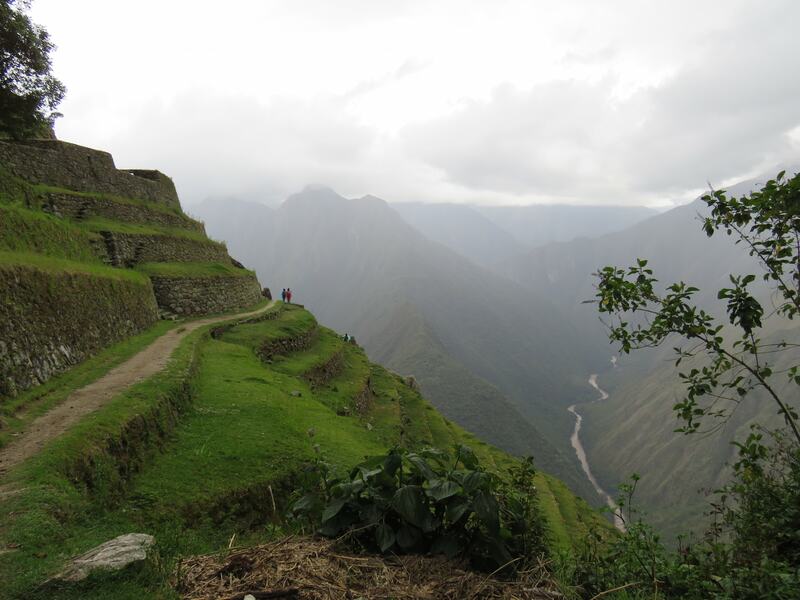 I cannot remember when I first learnt of the Inca Trail and Machu Picchu. I can only assume it was from the numerous travel books and travel shows that consumed my time from the moment I took my first trip abroad with my parents. 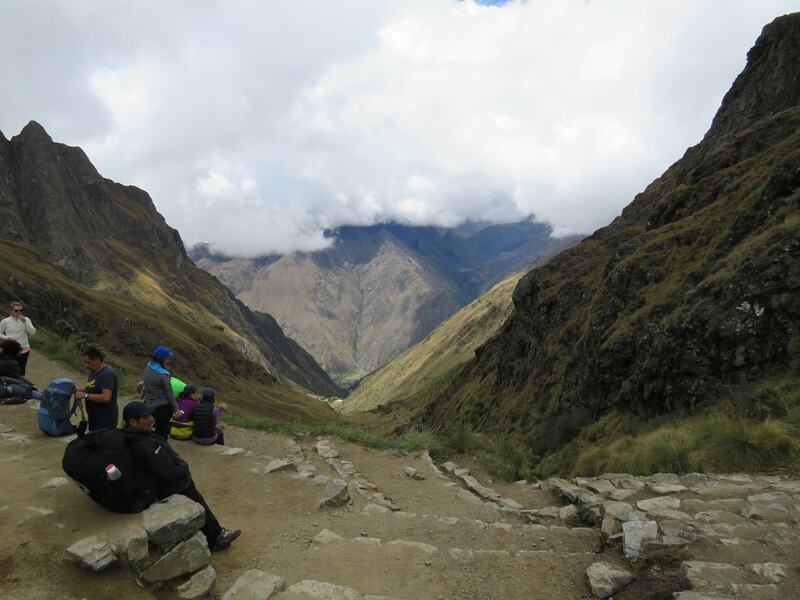 As I got older, trekking the Inca Trail started getting further to the top of my bucket list until it was number one and has been for many years now. And here I am, October 2018 and ‘hike the Inca Trail’ can now be ticked off. Check! As we were told by our guide on day one, it is more than just a hike, it is a journey. I know this sounds cliché but honestly, it is true. Ok, so not in a sacred way as it is for the Peruvians and for our guide, but for me, it showed me that I can make dreams become memories no matter how long it may take, and also that I can push my body to its limit to accomplish what I want. 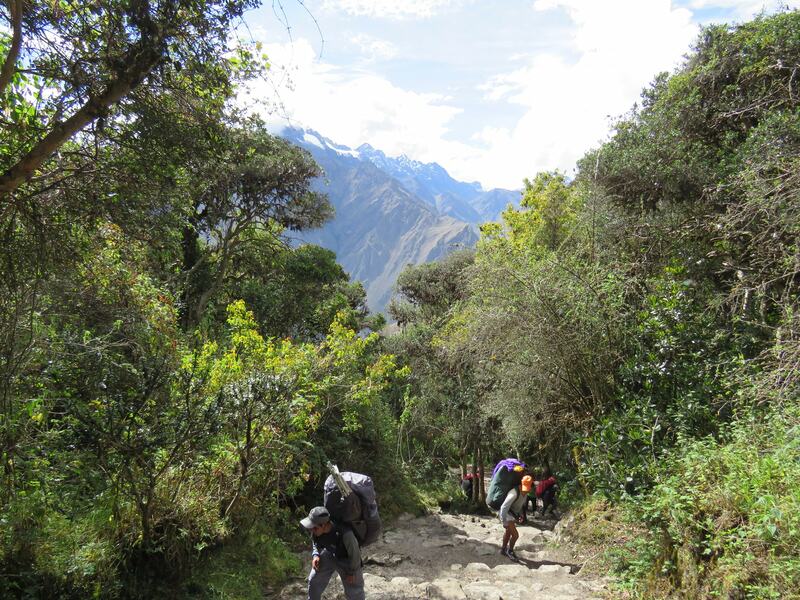 The Classic Inca Trail is an ancient trail through the Andes mountain range, past the Amazon Jungle and along Inca stone paths leading to a 15th Century Inca city, Machu Picchu. Machu Picchu was abandoned by the locals when the Spanish invaded Peru so as to keep it hidden. It then remained undiscovered until 1911 when it was discovered by an American explorer. 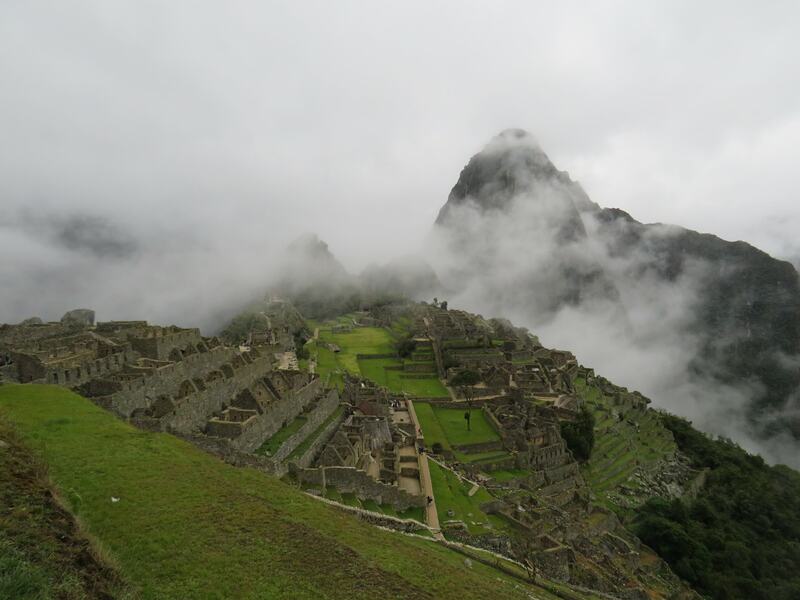 Machu Picchu is now a World Heritage Site and is known as one of the New Seven Wonders of the World. Day one had our group of nine, led by Leo and assisted by Frederico, ease into the four day trek. Along the way we were taught some of the history of the Incas and the Inca Trail and educated on the wildlife and flora and fauna of Peru. All very interesting and a welcome distraction from the climb. A few hours into the walk we went off track towards the edge of a huge drop. We were then asked to take off our bags and cameras, stand in a line linking arms, close our eyes and take steps forward. We had to totally trust Leo because we assumed there was a sheer drop ahead of us. After about 20 steps we were told to stand and listen to the sounds of nature and after 15 seconds open our eyes. 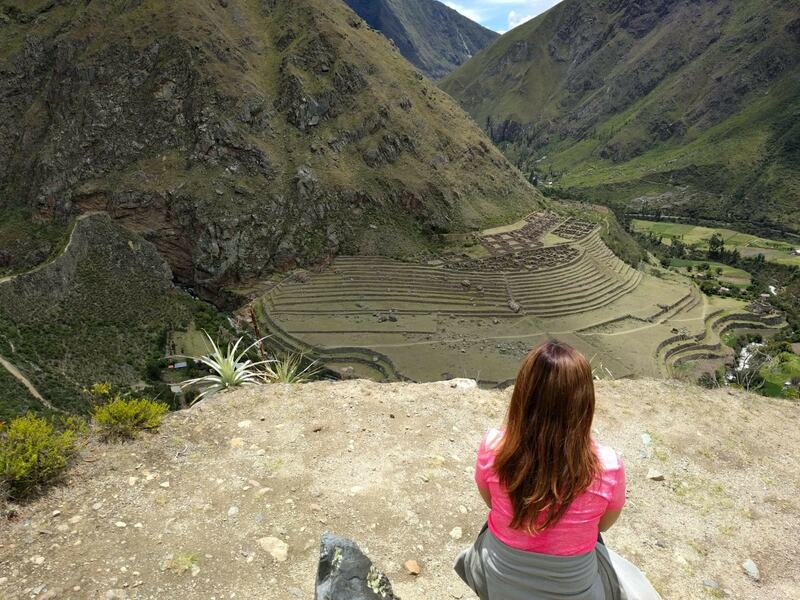 Upon opening our eyes we were pleasantly surprised to be overlooking the drop and down onto stunning Inca terraces. The first day was just as hard as every other, even though it was supposed to be the gentler one. My body was having to get used to the altitude, the terrain and the amount of work it had to do in one day. My mind was telling me it was difficult but my body just kept pushing on and once I reached camp, the sense of achievement was over whelming. Day two was a very tough day. It was the day we had to tackle Dead Woman’s Pass. It is given this name because the peaks of the mountains look like a woman laying down. It is also known for the height and the step like trail leading to the top of the mountain. 4100m above sea level, climbing for hours with very thin air and the hot sun beating down on us, it was the hardest thing I have ever done. My body was exhausted, but I never wanted to give up. With my head down and at a slow pace, controlling my breathing, I just kept climbing and I did it! As we all know; what goes up must come down, and reaching the peak of the mountain only meant we had to go down, to reach camp. Easy you would think, wrong. The rocks were slippery, uneven, huge and very steep, the impact on your knees and ankles is agony and because you don’t lose breath as much as going up, there is no resting; just a continuous slog down for three hours. Through all the pain and lack of energy, not once did I hate it or wish I wasn’t doing it, it is such a strange emotion, and I strangely loved every minute of it. Day three was the longest day of walking. With yet another 5am start we started the morning with a steep climb until we reached the first of four Inca sites we would see that day. The day consisted of lots of inclines and declines but it was all worth it when we found ourselves walking on a ledge of the mountain looking down onto the start of the Amazon Jungle. By the time I reached camp I was exhausted and my feet were in some pain from the downward steps. But all was forgotten once I sat down for another amazing meal and thought about what I had achieved and experienced. Admiring the new wonder of the world, Machu Picchu, does not come easy when you do the four day trek but I wouldn’t have done it any other way. With a 3am start on day four, we still had a morning of hiking ahead of us, with exhausted bodies but excited minds, we conquered the monkey steps and made it to The Sun Gate in time for the clouds to part and catch our first glimpse of the famous Inca site. The sight was just as grand as I had imagined. However, the trek wasn’t over. Leo led us down the mountain and with a very tired body I continued to trek with my head down. Assuming I was nearing the site, I looked up and my eyes suddenly caught sight of the magical Machu Picchu. It exceeded my expectations and I couldn’t wait to start exploring. But first, I had a very big surprise waiting for me. My boyfriend led me to the top of the Inca terraces away from the 3,000+ plus tourists that had started making their way into Machu Picchu via the train and, you may have guessed, he got down on one knee!!! I was so taken aback with happiness that the tears wouldn’t stop flowing. Needless to say, I said yes! My Inca Trail experience couldn’t haven’t been any better. Two dreams came true in one trip. I was very fortunate to be part of a great group, my biggest fear was being part of a group that I felt I was holding back. We all went at the same pace and it felt as though we were all at the same ability level, although I am sure some of the group could have raced on ahead, we all stuck together and achieved it together. I booked my tour with GAdventures and they were amazing. Our guides were friendly, informative, helpful, happy, funny and encouraging. I would certainly recommend Leo as a guide! The porters were unbelievable, carrying our food and tents on their backs, up and down the mountains that we struggled so much with. The food was like fine dining in a tent. 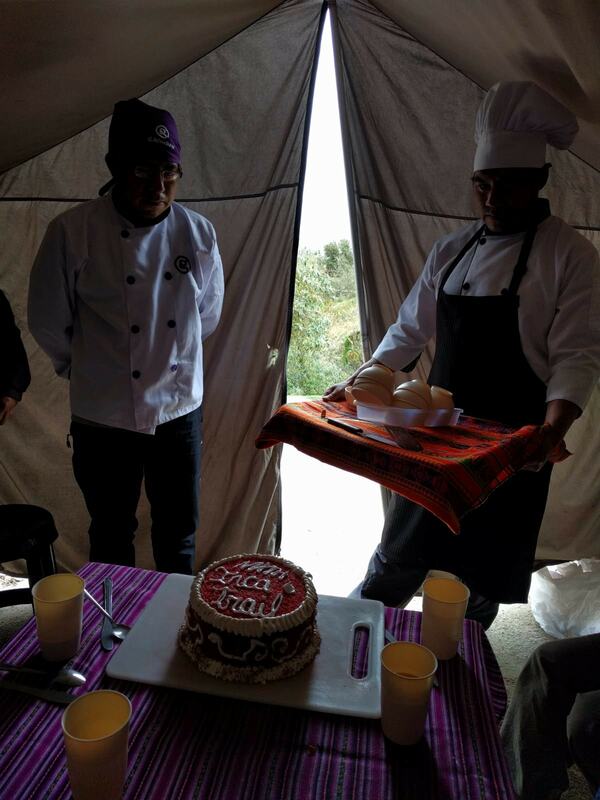 How the chefs cook up so much delicious and nutritional food that they too have had to climb the mountain with and cook from a tent is beyond me. The porters would race past us on the mountain and set up camp in the stunning surroundings for when we arrived. Nothing is allowed to be left on the mountain, quite understandably, and so everything is carried, set up and packed away by the porters every day. They do such an amazing job. The squat toilets on the trail, not so perfect, but at least there were some! A lot of the money paid to GAdventures by tourists, goes straight into Peruvian communities. Providing job opportunities for all adult ages and abilities, creating communities so that women can finally work and support their families, and most of all, they help to keep the history and culture of the Incas alive. 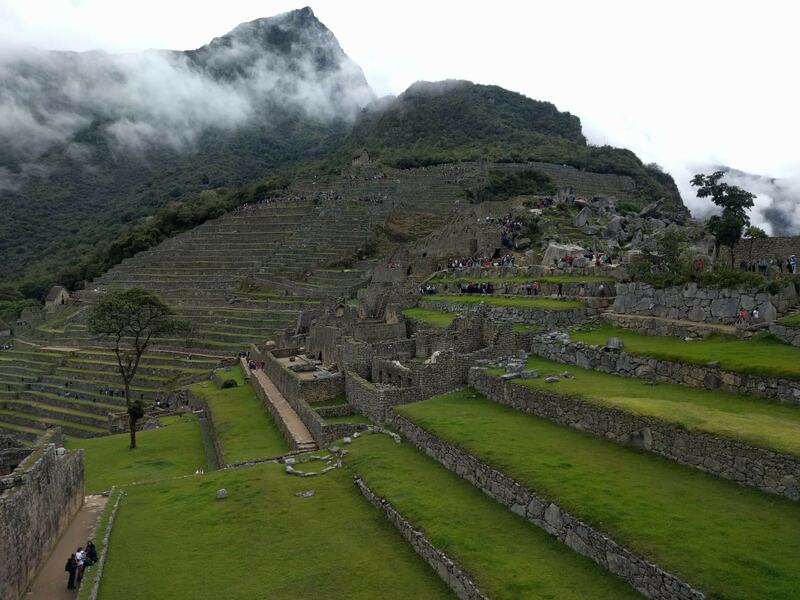 Peru is full of culture and beauty with so much history and beautiful surroundings. And what really stood out to me, is how happy the Peruvians are. The children always have the biggest smiles on their faces. It was an honour to be welcomed into their country. 1. Use/hire walking poles. I have never used walking poles before but they really helped lessen the impact on my knees. 2. Hire a mattress for the tent. The tents are pitched on the mountain in natural surroundings! 3. Wear knee supports. Even if you have never had problems with your knees before, they are worth investing in. 4. Take lots of snacks. GAdventures provide plenty of nutritional meals and they also provide a snack pack at the start of the four days, but you will probably need the extra snacks along the way. 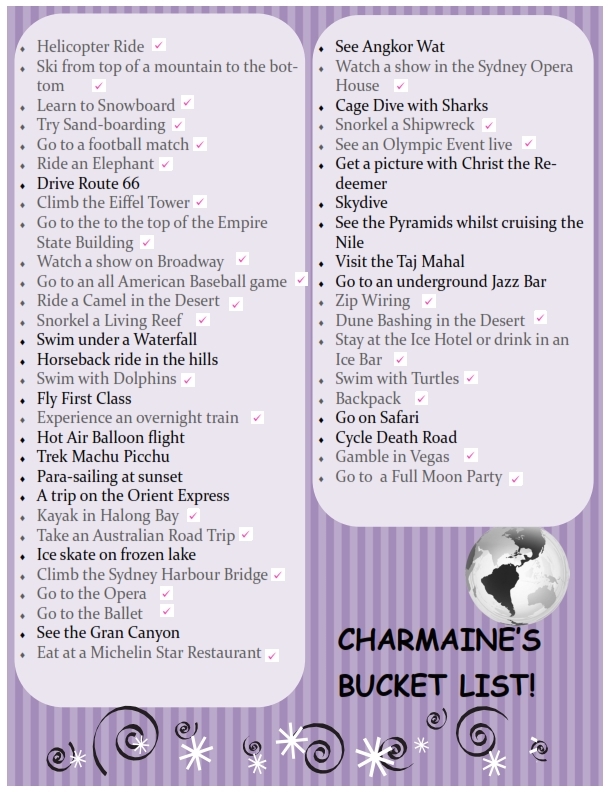 I have been fortunate enough to tick off a lot of items from my Bucket List, but there is still so much I would love to see, do and experience and I look forward to sharing these precious moments with you. Bring it on!